The premiere of the long-in-the-works documentary about the rise and fall of Chicago’s Wax Trax! Records retail shop and record label is just over a day away, but for those who can’t make it Chicago, or just want a glimpse now, here’s a 3-minute trailer to whet your appetite. 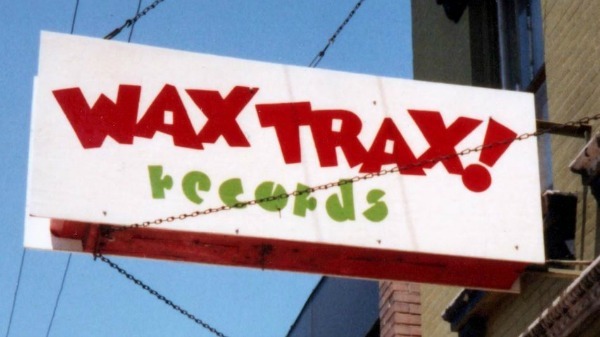 The 90-minute “Industrial Accident: The Story of Wax Trax! Records” will debut Saturday with two special test screenings at Chicago’s Vic Theatre, each followed by a panel discussion featuring a different lineup. Participants include Jello Biafra, Paul Barker, Chris Connelly and more. Head over to this post from a few weeks ago for full details on the screenings. Below, check out the trailer, starring the likes of Trent Reznor, Al Jourgensen, Ian MacKaye, Dave Grohl and members of Front 242, KMFDM, My Life With the Thrill Kill Kult and more. I just want to cry…all my favorites gettin together to tell their story. I wanna see this documentary..I live in New Orleans and ive been your biggest fan Wax Trax..Keep your music alive!! Chicago is land-locked, but seeing this preview reminded me that geography is not destiny, ironically. Does anyone know what song/band is playing in the background about half way through this clip with the lyric, “I need a drink”. I thought it was Pailhead??? Been waiting for this for quite a minute now! Hope it gets a good art house release! Just watching this great trailer here in San Diego from a high school friend now in Bay Area… he and I grew up and would make regular sojourns, a 45 minute drive each way, from the suburbs JUST to go shopping and buy the latest cool vinyl! Watching it def brought a tear to this eye. anyone know when and where we can see the whole film? ?